Believe and let Him lead us. Believe and trust His plan for us. Believe that He loves us and will not let us fall. 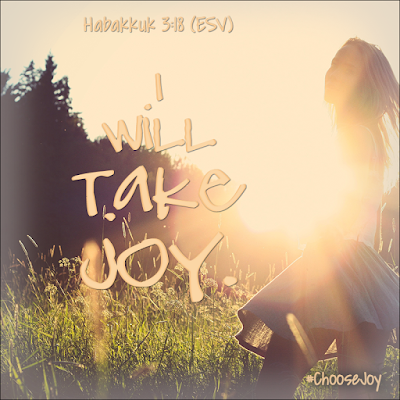 Believe that if we choose Him, we can choose joy. Merry Christmas and Happy New Year from the Frankl's! 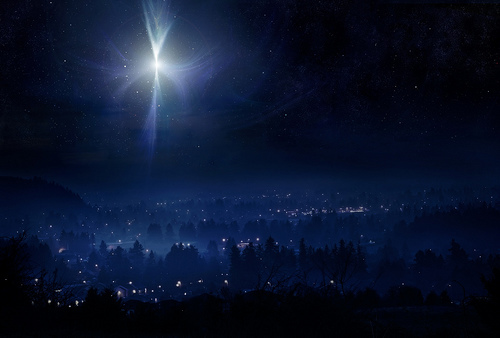 With Christmas comes so much joy and yet for many, Christmas also brings sorrow. To have joy in trials and suffering is not to deny the pain that comes with it. It is realizing that we can have both. 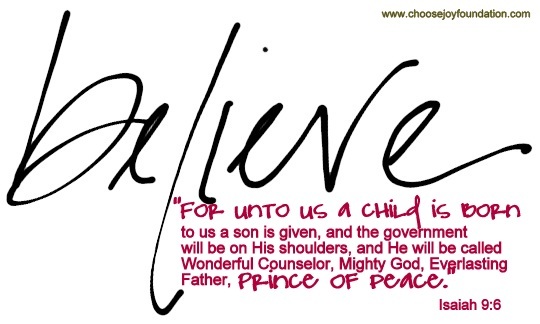 As the verse tells us...with the birth of a child comes pain, but with the birth of the child there is joy in thinking of what is to come. 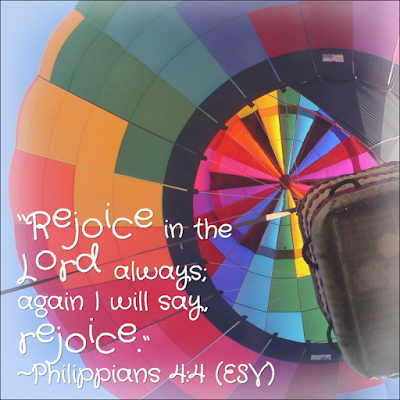 We can choose to live in an attitude of anger, sorrow and fear or we can choose to pursue the joy of Christ! It starts with trusting in a God who promises He is always with us and loves us! 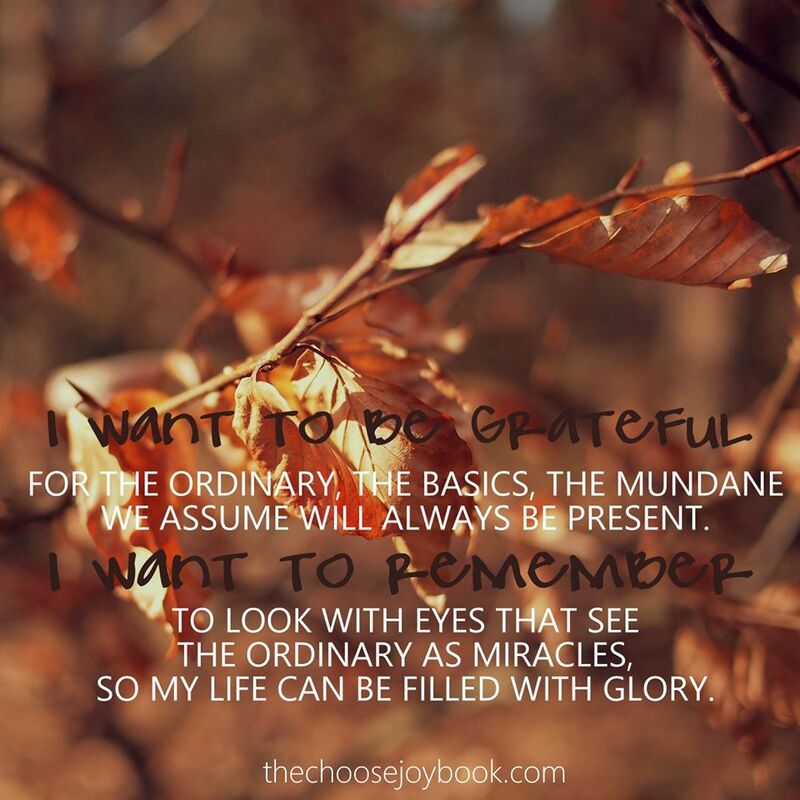 When our focus turns to gratitude, we will find JOY. As my mom always told us ... "An attitude of gratitude can go a long way." 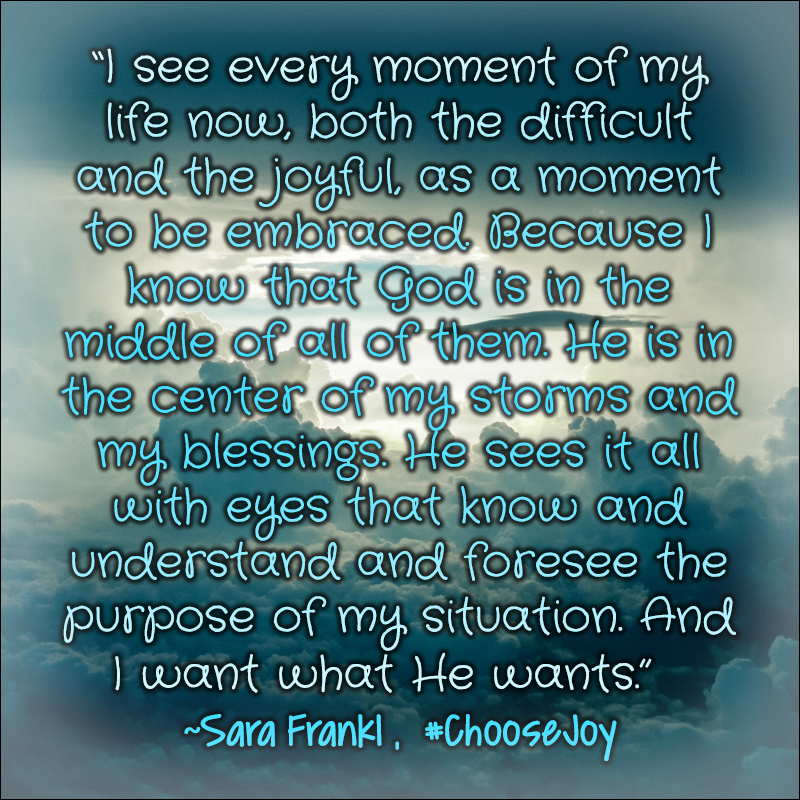 Pre-order Sara's book, Choose Joy: Finding Hope and Purpose When Life Hurts today on Amazon, Barnes and Noble or Family Christian. Peace be with you! 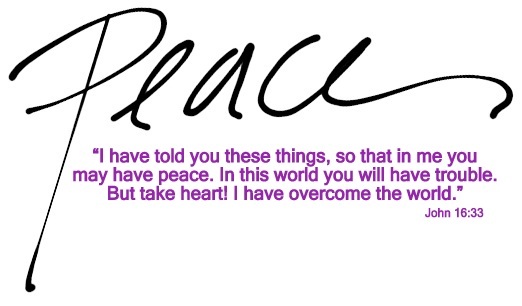 Jesus asks us to receive His peace abundantly and thankfully. When we need peace, we only need to say yes to God's purpose for us. Praying your week is filled with His peace. The book that Sara dreamed about sharing with each of you. The book with her wisdom, her charm and her wit. The book that would not have been possible without the gift of Mary Carver (co-author) and Ruth Samsel (agent). The book that is all about Him and what He can do in your life. As I sit and write, I think to myself, what would Sara want people to hear? What message would she want people to be left with? The answer..."It's not about me, It's about Him." So, as I think about the Christmas season, I also reflect on the meaning and purpose of giving gifts. Christmas is a season for giving gifts. And it’s no wonder that we give gifts to loved ones at this time, since Christmas is really the celebration of God’s Gift to those He loves—His perfect Gift of Jesus to you and me! So, in this gift giving season, you can make it about Him by giving the gift of Jesus to others. You can be part of His discipleship by sharing Choose Joy: Finding Hope and Purpose When Life Hurts. The message...is all about finding hope, purpose and ultimately joy by choosing...choosing Him! May this season of Christmas be a blessed one for each of you and may your 2016 be filled with Joy! 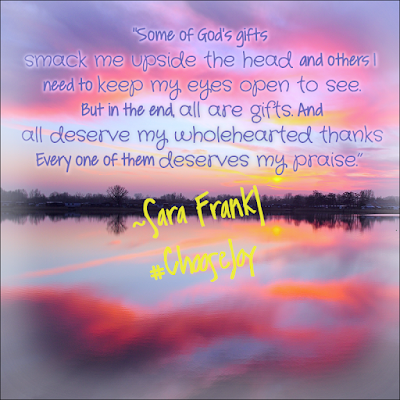 As we begin this advent season, I am reminded of the following post that Sara wrote. A good reminder that because Joseph and Mary said yes to God so many years ago, we have HOPE. I was watching Staff Sgt. Salvatore Giunta, who is from a small Iowa town not far from me, receive the esteemed Medal of Honor for bravery shown in active duty. Sal had told President Obama that he was just doing his job, and following advice he had gotten when he first became a soldier. It struck me as the most profoundly simple statement. And while I’m sure it is essential advice for a battlefield, it also occurred to me it’s advice that works in every circumstance for every person trying to follow in Jesus’ footsteps. And those of his parents. I am thinking of Mary, frightened and scared, not knowing what to make of this angel standing before her. But she said yes. She did what she could when it was her time to be asked. And Joseph. Being asked to marry a woman who was pregnant – and not with his child. He was being asked to sacrifice his life and all he had been taught… and he said yes. He did everything he could when it was his time to be asked. They did their duty. They traveled for the census to be counted. They continually did the next right thing – not because they were promised riches or status or rewards. They traveled, they suffered in a stable to bring a baby into the world without any idea of how they were going to manage next. But they did everything they could, because it was their time to do it. I hear the story so many times that I begin to assume they knew what the end result of their sacrifices would be. Sometimes I lull myself into thinking I would have made those sacrifices if it meant the Savior of the world could come to do His work. But then I remember that Mary and Joseph knew no such thing. They knew no more of their future than we do. They didn’t know Jesus would get lost in a temple. They didn’t know he would turn water into wine and heal the sick and bring sight to the blind. They didn’t know their precious baby boy would be beaten and ridiculed and hung on a cross. They were simply doing everything they could, when it was their time to do it. It pierces me. It pierces me to know they simply said yes because it was the right thing to do. It pierces me that I, in this life, have so many chances to say yes. It pierces me that every moment of my life could be my time to do everything I can. I may not change the world, but I might change a life. I might be called with an urging in my spirit, and if I choose not to pay attention and act on it, I might miss my moment. My time to do what I can. That’s what I am thinking about this Christmas. I’m always overwhelmed and grateful that Jesus came to this world as a baby to save me – thousands of years later – a simple soul not unlike any other. But this year, I’m wondering how I can be more like Mary and Joseph. How I can do everything I can… now… when it’s my time to do it. Will you take that challenge with me? Will you look beyond the celebrations and the wrappings and the carols we hum as we busy about our lives – and pay close attention to the little details in the lives of those around you? Because you never know when it may be your time to do everything you can. Holidays...they can bring both joy and sadness...it depends on our individual stories. It also depends on our perspective. 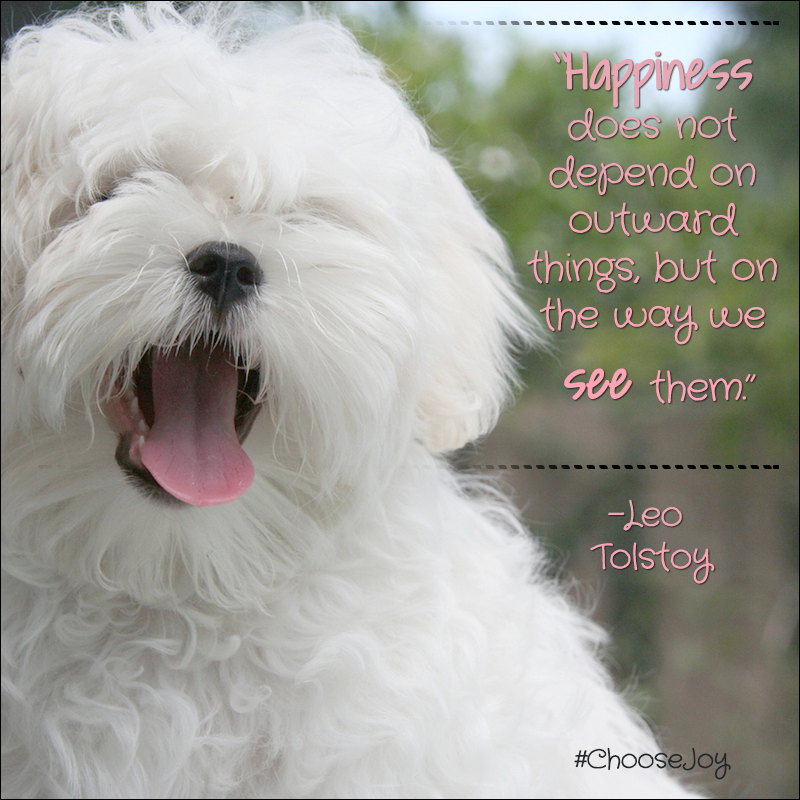 Our perspective is what makes us choose joy or sadness. 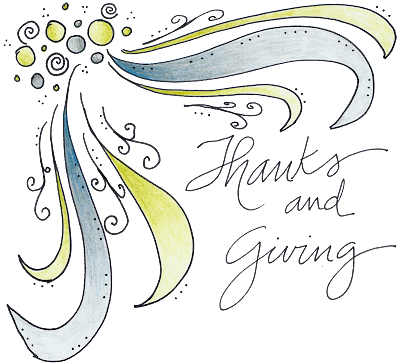 In this time of Thanksgiving, let us take the heartache out of sadness by giving thanks for everything we have been given. 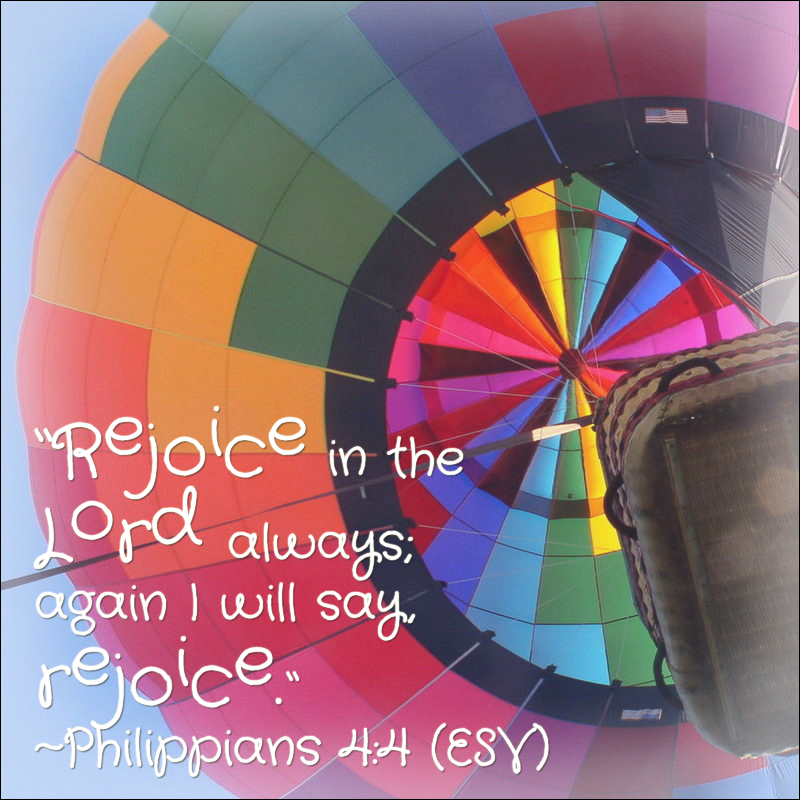 When we give thanks to God, regardless of our circumstances, He will give us joy! God tells us that those who obey Him, will be blessed...He doesn't say He will take away the sadness or the hard. When we can open our hearts in Thanksgiving, we also open our hearts to God's perspective. This Thanksgiving, I want to express my gratitude to each of you for joining my family and I in continuing Sara's discipleship. A discipleship that is much needed. Let's continue to spread God's word of Joy...it all starts with Thankfulness. 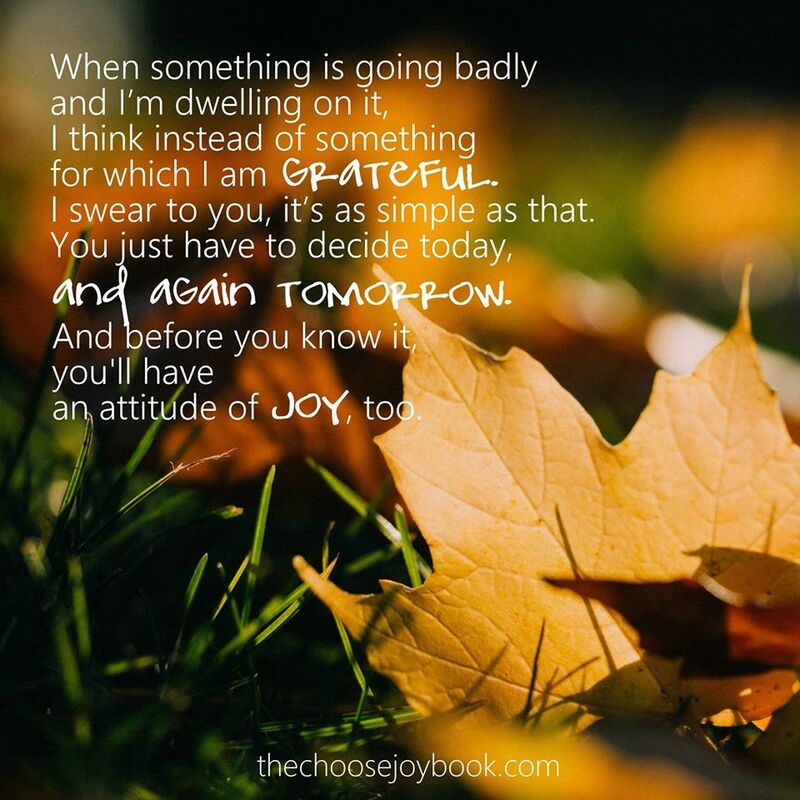 In October, you joined me in 31 days of choosing joy. As a Thanksgiving gift to each of you, click on this link to download your own copy. In this time of Thanksgiving, there are times when are hearts can be heavy. 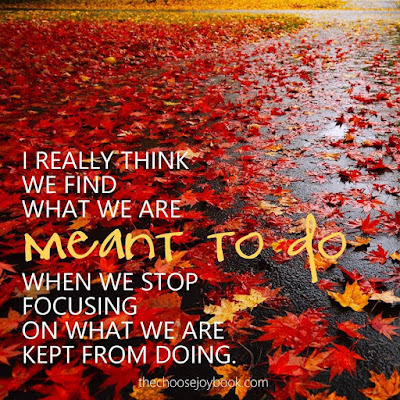 Choose to focus on all that God has blessed us with. Think of those things for which we are grateful. It is there that you will find joy. 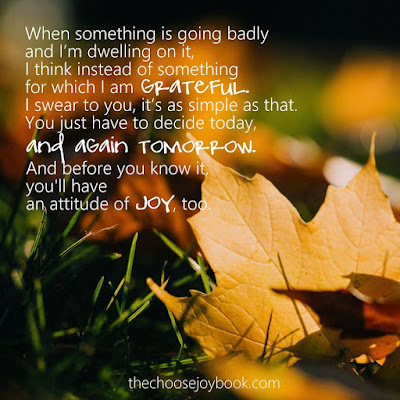 Choose Joy: Finding Hope and Purpose When Life Hurts. Order yours today on Amazon, Barnes and Noble or Family Christian. Choose Joy Incentives -- You Could Be a Winner! 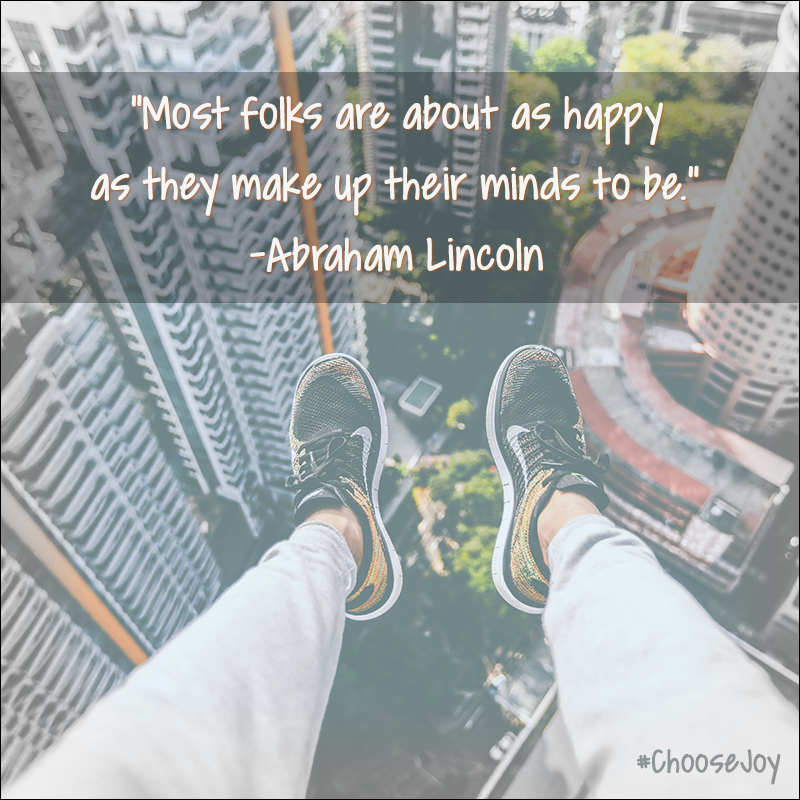 We have some more exciting Choose Joy news to share today! Choose Joy: Finding Hope & Purpose When Life Hurts is available to pre-order at Amazon, Barnes and Noble, Family Christian, and Christian Book. If you order your copy (or copies!) today, we have some wonderful gifts to give you. Thanks to some beautiful artists and lovely partners, you will receive a free discussion guide for the book, a Choose Joy printable, as well as be entered into a drawing for additional gifts. 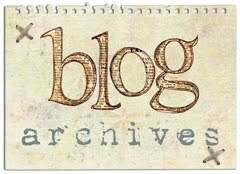 To get all the details, please hop over to Mary's blog. And if you haven't pre-ordered your copy of Choose Joy yet, you can do so at any of these retailers: Amazon, Barnes and Noble, Family Christian, and Christian Book. What are you grateful for? That is where you will find Joy! Choose Joy: Finding Hope and Purpose When Life Hurts. Pre-orders now available on Amazon, Barnes and Noble and Family Christian. Choose to dance with JOY today, my friends! Choose Joy: Finding Hope and Purpose When Life Hurts buy today for someone you love and teach them to dance with JOY! Praying You Feel His Presence Today. Stop and feel His presence today -- In both the hard and the joy. 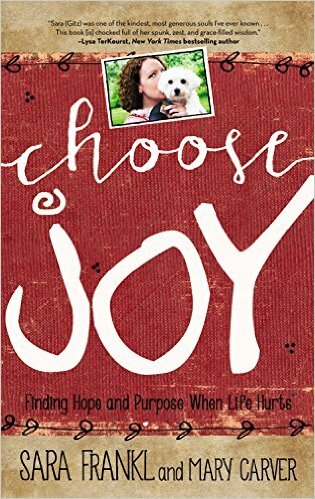 Choose Joy: Finding Hope and Purpose When Life Hurts can be purchased on Amazon, Barnes and Noble or Family Christian. I am meant to keep spreading the joy! Barnes and Noble and Family Christian. Order yours today! Good morning, friends! 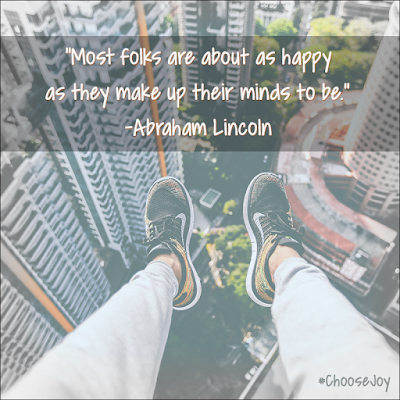 Today is a big day for Team Choose Joy! As you know, we’re only a couple months away from the January 5 release of Choose Joy: Finding Hope & Purpose When Life Hurts. So today we’re inviting you to join our team! If you have a blog of your own and would like to spread the word about Choose Joy, we invite you to apply for the Choose Joy Launch Team. We’ll select 100 people to be part of the team and notify them the week of November 16. 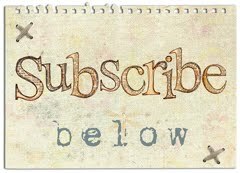 - Provide feedback in our Facebook group or via email. - Submit an Amazon review on the book’s launch date (January 5, 2016). - Help spread the word about the book! If this sounds like something you’d like to do, we’d be honored for you to fill out our launch team application. Click here to apply today – and thank you for being part of Sara’s legacy and continued ministry! Thanks to each of you for joining me and many others in 31 days of Choosing Joy. My prayer is that Sara's words of faith and encouragement touched you with the strength and grace needed, when you needed it. My continued prayer is that these past 31 days of Choosing Joy was only the beginning for you. 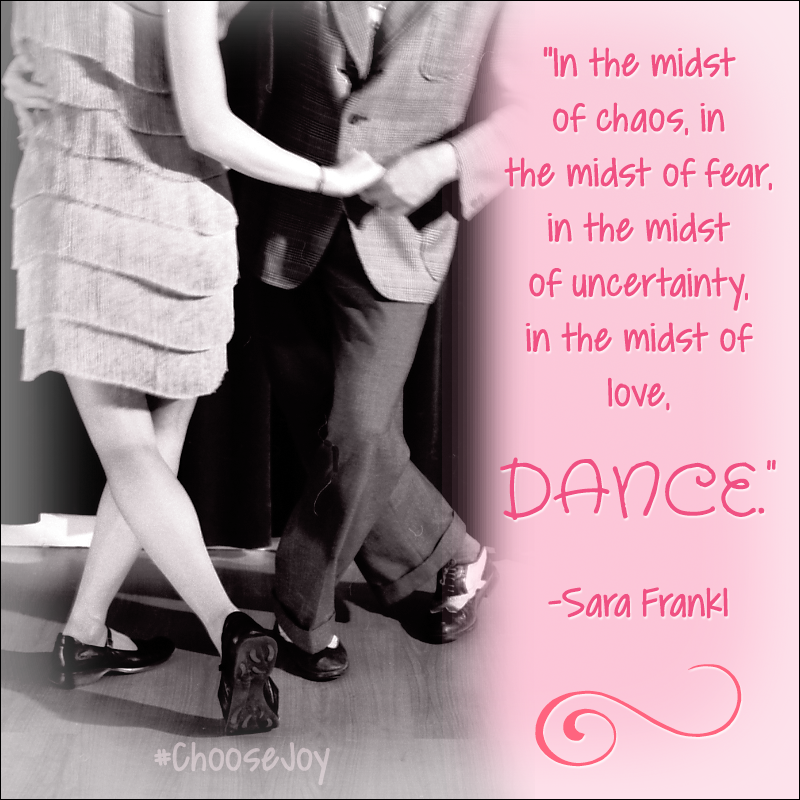 As Sara taught us through her life and her words, choosing joy is a daily choice and a journey that has no end. 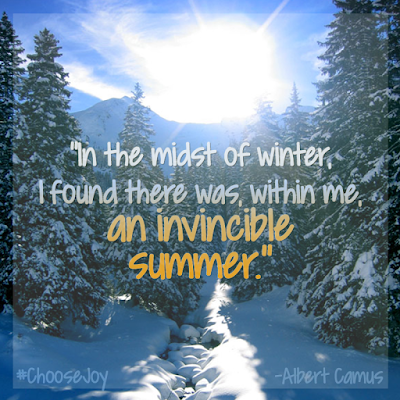 Choose Joy: Finding Hope and Purpose When Life Hurts can be a resource for you as you continue your journey. I encourage you to give the gift of joy to others and continue to spread God's love! I am grateful that we (Sara's family) can continue her earthly discipleship of teaching us what God can do in our lives. We know that this would not be possible without each of you. "When things get harder, when my health is more trying, the thing that keeps me calm and sane is the fact that I know I've done it before. The pain has been bad before, the symptoms are all ones that I've faced in the past, the exhaustion has reared it's ugly head and the headaches have tried to break me. And during those times, those wintry moments when things seem cold and endless and bleak, there is a summer deep within me that is untouchable. Invincible. I know it's there even when it seems far away and unreachable because I've been through it all before... and the summer always rises to the surface. I have faith that He hasn't left me empty. So in those moments I remind myself of what I've already learned... that in the midst of winter there is in me an invincible summer. What have you already learned that seems easy for you to forget? Because I really do believe that once we know better we can't pretend to be ignorant anymore. Try making it a habit to remind yourself now of what you've already learned so that during your next run of trouble... the winter moments that inevitably come... you will remember and believe that He hasn't left you empty. 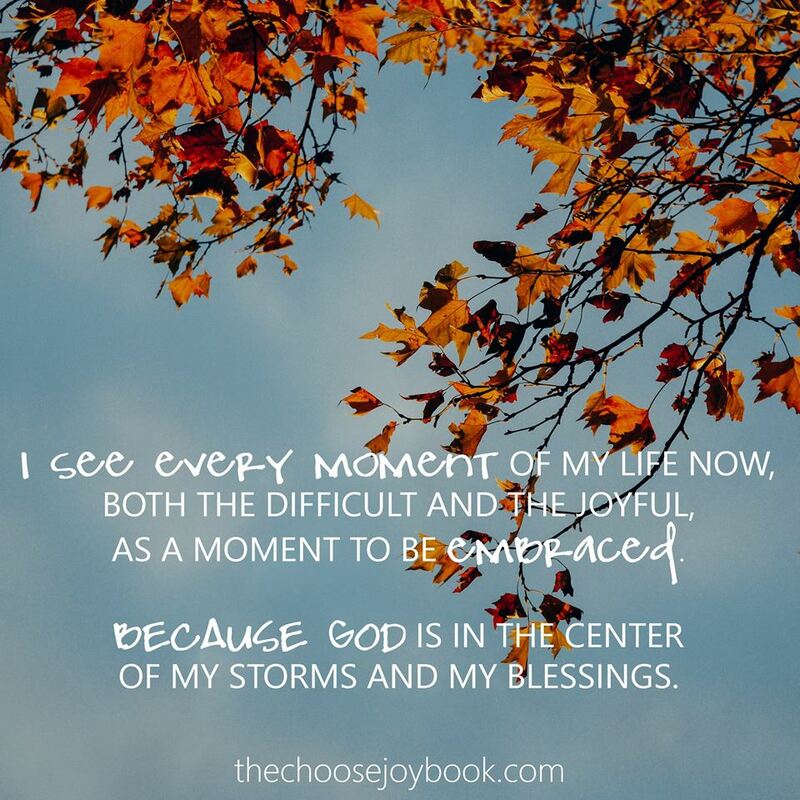 Thank you for joining me in 31 days of Choosing Joy...You can keep the joy by purchasing Sara's book...Choose Joy: Finding Hope and Purpose When Life Hurts. "As I was thinking about thanksgiving and not being able to spend it with my family, I realized that it’s really not bothering me very much at all. I mean, of course I’d love to be with all of my family again. Sure, I’d prefer to get out of the house and socialize with my friends. And YES, diving into mashed potatoes would have been delightful. It’s not that I prefer this. It’s that I’ve learned to appreciate this. I’ve learned to appreciate the simplicity in my moments. I’ve learned that being thankful in everything is more important than being thankful for something. I want to be grateful for everything in my life, not just the special moments. I’m thankful for the years of traditions, and I’m thankful that now I get to reflect on them, remember them, cherish them. I’m thankful to know that my family will be together and my nieces and nephews look forward to seeing each other again. I appreciate hearing my friends’ stories about their family get-togethers and the insanity that always ensues. And, while I’m not in the middle of all of the festivities, I am still immersed in the blessings of my everyday life. Choose Joy Finding Hope and Purpose when Life Hurts...will find it full of JOY and GRATITUDE. "The kitchen, as in most homes, has always been the gathering place for my family. The hustle and chaos were ever present. 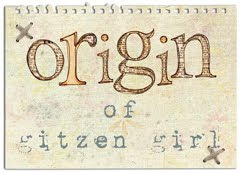 My sisters and I would chide my brothers — who were never required to cook or do dishes — that if they stayed in the kitchen they would undoubtedly turn into girls. No matter what the commotion, regardless if the television was blaring or if the radio was silent, my dad would come up behind my mom — standing at the sink or stove or counter — and they danced. 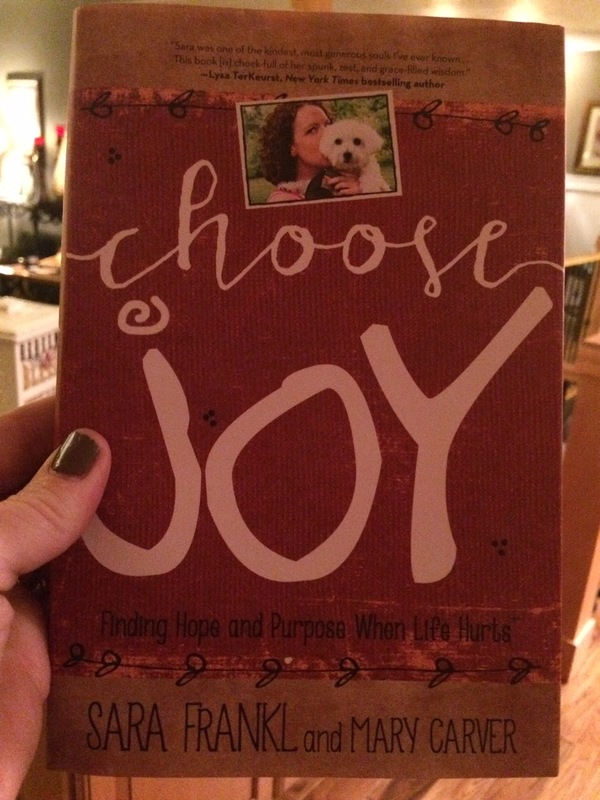 Choose Joy: Finding Hope and Purpose When Life Hurts...order your book today. God has an intention for me. My life here is not random. Soak that in a minute. You aren’t here just to get through life. You’re not even here to succeed with your plans in life. No… you’re here to fulfill what He has intended for you. I find myself looking at every moment and opportunity differently. Life isn’t about what I am in the mood for or what can fit into my day. Life is about being open to what He may need from me and what He has intended for me to notice. I’m here to keep my eyes and heart open enough to be aware of the moments in which He has intended for me to act. Do you know what else it made me realize? That if He has intentions for my life, and has seen all that has happened and will happen, then I don’t have to worry about how I’ll make it through. I am a survivor. Not because I am strong or willful or unique. I am a survivor because God has intentions for me, and as long as I am here on this earth I have a job left to do. He saw that I would be sick, He saw that I would be devastated, He saw that I would feel weak, but He put me in this life because He also saw I would fulfill what He intended. All I have to do is remember that this life isn’t about me… it’s about His intentions for me. If I trust Him with all of it, past – present - future, then He will make sure I am in the right position to fulfill all He intended. 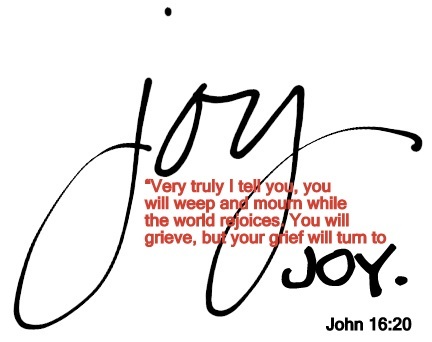 Oh, and according to the life verse my friend helped me choose, I plan on doing it with joy. Be intentional in bringing joy to others...Pre-order Choose Joy: Finding Hope and Purpose When Life Hurts. 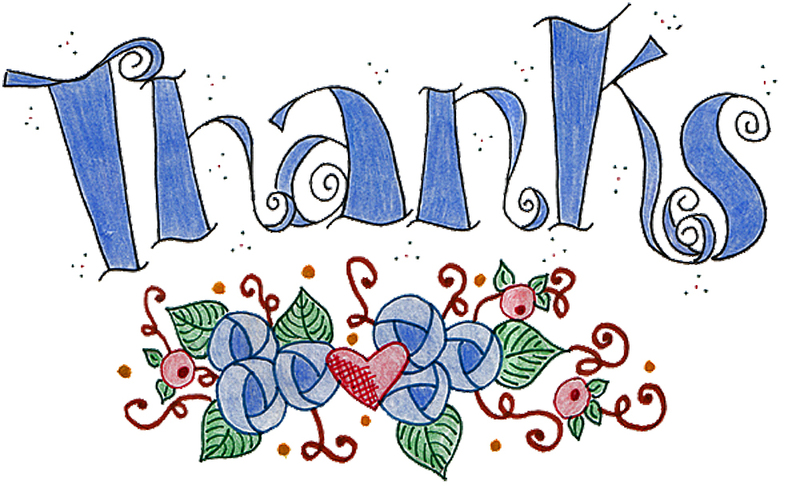 "My praise is in direct relation to the thankfulness in my heart. And my thankfulness in all things needs to be in equal measure. I think we're sometimes stuck on the rush. We're stuck needing something to hit us over the head and scream "something good just happened!" for us to really stop and take notice. But the reality is, when I stop in my moments and give praise to God, my heart feels the same when I am thanking Him for something big that someone has blessed me with, as it does when I'm thanking Him for the sparrow that landed on my feeder. Because both are results of His eye being on me as much as it is on that sparrow. God has given me loving and attentive people in my life who provided me with so much. He has given me the birds that sing to me in the morning and fly around to remind me that life exists beyond these walls. He lets the thunder roll and reminds me of His magnitude. He gives me the ability to walk to the kitchen and reminds me I will always have the strength I need when I need it. Some of His gifts smack me upside the head and others I need to keep my eyes open to see. But in the end, all are gifts. And all deserve my whole heart thanks. Every one of them deserves my praise. So, on the days when things are supremely difficult and the pain takes all my energy, my eyes have to remain alert to see the blessings. Then there are days when His goodness is obvious and hits me upside the head like I've just had a V-8. And at the end of both of those days, when I think over the hours and my blessings and I stop to thank Him for all of it, do you know what the difference between them is? Because in the end, love is love. Gift is gift. God is God and He is good. All the time. Give yourself the gift of Joy by ordering your book today...Choose Joy: Finding Hope and Purpose When Life Hurts. "I am filled with joy. I'm exhausted, I'm in pain, I'm just getting by. But I am so incredibly blessed. I have a lovely home, an adorable pup, family and friends who care and people who love me, not despite my disease but because of who I am. I am blessed because I take nothing for granted. I love what I have instead of yearning for what I lack. I choose to be happy, and I am. It really is that simple.. Choose Joy: Finding Hope and Purpose when Life Hurts...Order your book today and while you are at it, order one for a friend and bless them with JOY too! "I think trust comes down to walking a path simply because He has asked us to. I thought about it as I read the old story of Noah and his ark. Everyone thought Noah was nuts. I mean, imagine it in this day and age. Imagine me randomly telling you all that I was stopping my life to build a boat the size of Noah's in my dad's field. Just because I felt God calling me to. People would be saying I had messed up my medication. People would be screaming about how the money could be better spent helping the tornado victims or paying down our national debt. People would be judging me, calling me names, ridiculing my religious beliefs and making assumptions about my political party status. I would be a laughing stock. Of course, we look at Noah and see that he was right. That it all worked out. That the rain came and he saved his family and God was pleased. My question is this: would he have been less right if it never rained? I don't think so. 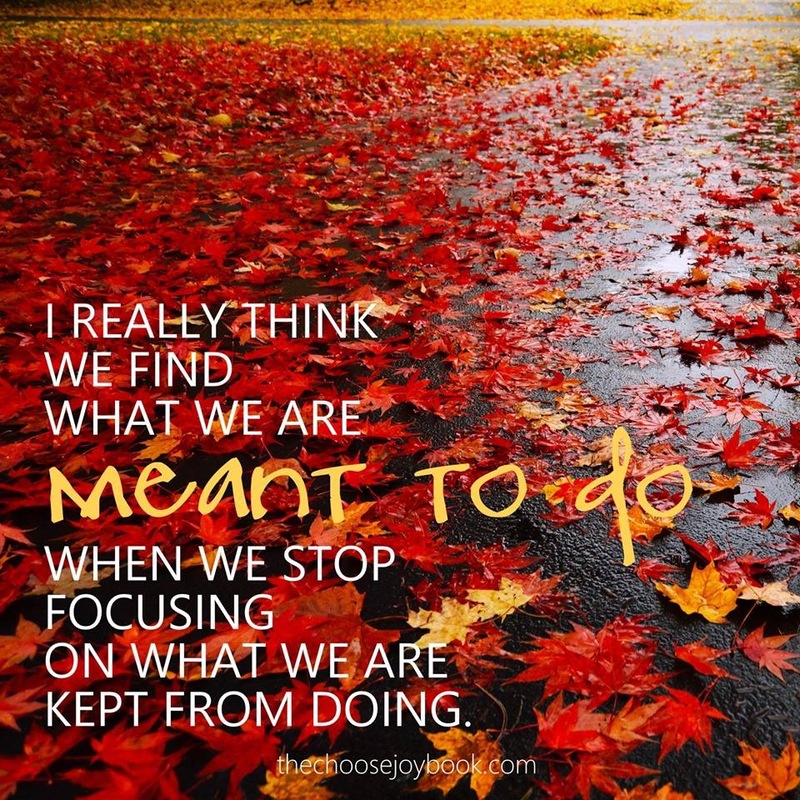 I think it's about saying yes without the guarantee that anything will work out in our favor. I'd like to look at my life and hope good is coming out of my disadvantage. I'd like to think that because I am remaining faithful and joyful in this situation that good things will happen for me or someone else. We can all look at our lives and say, "Well, that was hard, but look at the good that came from it." But I think Noah was the hero before a drop of rain hit the thirsty earth. I think he said yes for no reason other than God commanded him. And I am going to think of Noah's decision before the rain every time I have a hard decision to make. Every time I start to get weary of living a difficult life. Every time I long or wish for different. I'm going to think of the man on dry land who said yes regardless of the outcome. We don't all live to see the rain. We don't all live to see the benefit. We don't all get to know if there even is a benefit. 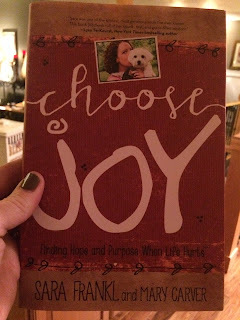 Choose Joy: Finding Hope and Purpose When Life Hurts...order yours today! 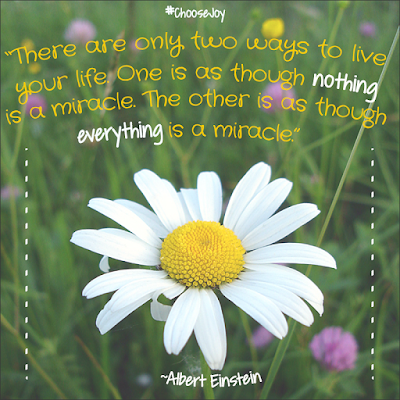 Choose Joy day 24...Joy in the Miracles! I know people are going through their own struggles, but when your life seems overwhelming today, stop for a minute and realize that you aren't even aware of your own heart beating. It's of no concern to you... because it's doing its job without being asked. 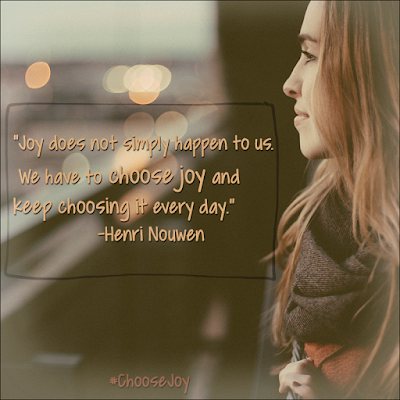 Choose Joy: Finding Hope and Purpose When Life Hurts. 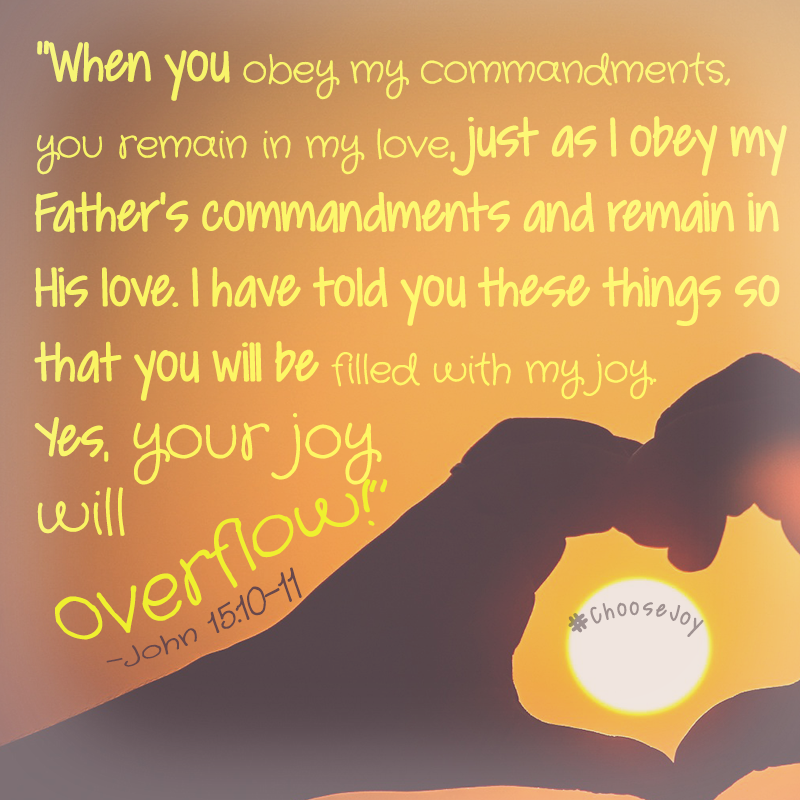 Order yours to find our more about choosing joy! 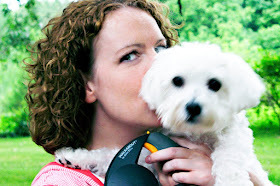 "In a time when every self-help book I read talked about finding groups of like-minded people to further your goals, and being true to who you are over who others may want you to be, I found the opposite to be true. I found that if I went into every situation caring more about what was important to the other person, then who I was grew ten fold. I learned that it was all about the person, and in order to care about the person I needed to choose to care about what was important to them, and make it important to me. When it comes to children, their interest often times becomes our interest and their excitement becomes our excitement, and before we know it, we are filled up with contagious joy. We all do that for children. Imagine if we did that for other adults as well. Imagine if we cared more about them feeling happy than us feeling right. Imagine if we cared more about them feeling known than us feeling superior. Imagine if we cared more about them feeling accepted than us feeling righteous. Imagine if we cared more about them feeling joy than us feeling envy. Imagine if we cared more about them feeling abundance than us feeling security. Maybe sometimes it's not so much about being who we are at all costs. Maybe sometimes it's about letting go of who we are to see who we might become. Choose Joy: Finding Hope and Purpose When Life Hurts. Order yours today! Bring JOY to someone by blessing them with one too! "There should be no compromising when it comes to God's purpose. So, I've changed my thinking... and it changed my heart. Just as much as I would embrace a miracle of healing with open arms, I choose to embrace all that comes into my life the same way. I've learned to embrace the pain. Embrace the solitude. 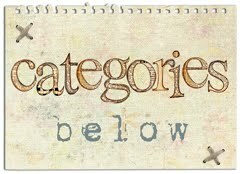 Embrace the constantly changing plan of my day as my pain and energy levels fluctuate. I've stopped trying to adapt between what I want and what I have... and I've learned instead to want what I'm given. By removing the expectations I placed on my life, I've come to appreciate the moments He's entrusted to me. It doesn't make the journey easy. But it does make it worthwhile. There are lessons in the pain. There is discovery in the solitude. There are blessings in the opportunities that have come because of my limitations. I've learned to love hearing about what's going on in the world outside of my home as much as I loved living it with my friends. I see every moment of my life now, both the difficult and the joyful, as moment to be embraced. 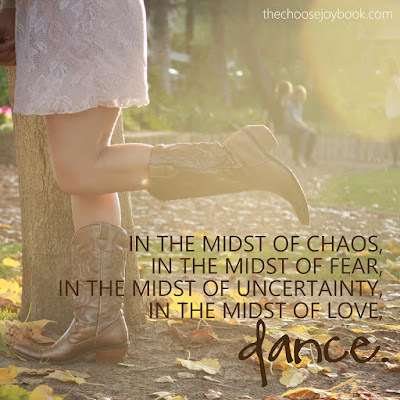 Because I know that God is in the middle of all of them. He is in the center of my storms and my blessings. He sees it all with eyes that know and understand and foresee the purpose of my situation. And I want what He wants. So I no longer adapt, compromise or adjust. I surrender. I simply trust that whatever is in front of me at any given moment, He is in the center of it. "Loss. I didn't expect this a year later after dad's death. I knew it would be hard. I knew the anticipation was weighing on me. But I didn't expect for it to be visceral. I didn't expect for my body to feel in shock again, for the nausea to creep in. I expected sorrow, not grief. But I felt grief again. I have felt all week like I needed to reach my hands into my chest and hold up my heart for the weight of it. I missed my family and I missed the community and I missed my dad. Oh, how I miss my dad. I have had people who thought I should go to Medjagory for healing. I believe miracles happen there. And I believe there are people who go with the purest of hearts and the most genuine intentions, who are not healed. I don’t think it’s about who puts their faith on the line better, I think it’s about fulfilling a mission. Some are healed because that miracle will spur some on to faith. Some are not healed because that suffering will help others in some way. I’m not big enough to know which should be true for me. I trust God to make that decision. I am open to either option and I believe if healing is meant for me, He will make that happen. 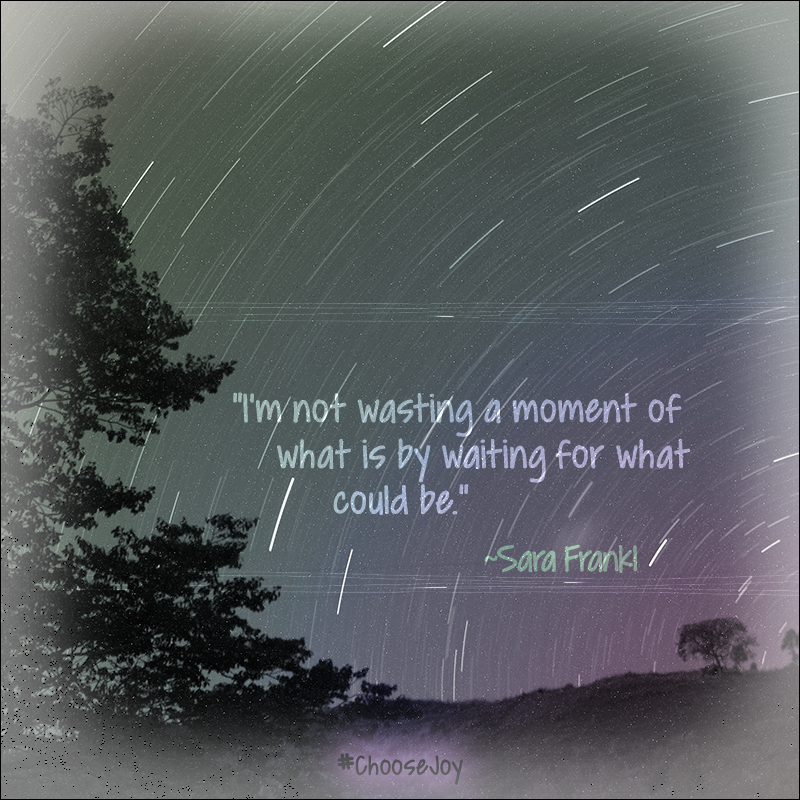 But in the interim, I’m not wasting a moment of what is by waiting for what could be. Well, I may waste a moment here or there… I am human after all and disappointment does not escape me just because I know better. But I’m leaving the choice with Him. Right now I have a lot of pain, I have a lot of limitations, and I can’t go outside without suffering the consequences. That’s my reality. If He chooses to change that reality tomorrow I will embrace it without question, just as I am going to deal with what is in front of me right now without question. It’s ok if you think I’m wrong to approach it this way. It’s wonderful if you took a different approach and experienced healing. All I know is that I have talked about this with God at length, and this is what I find to be peaceful in my heart. It’s working for me, this decision to leave the choice with Him. It may not look like it’s working out all that well physically, but it’s working out well for my spirit. 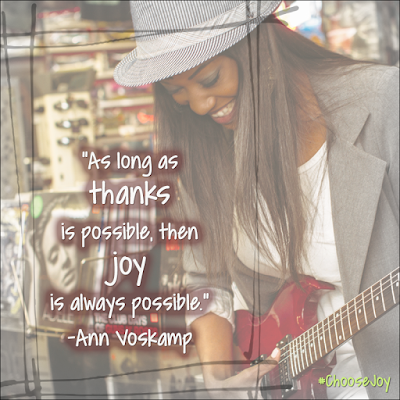 Choose Joy Day 19 -- How Would You Define Joy? Joy is a big part of life... no matter how you define it or what brings it to you. I'm sure there are as many things that instill joy in people as there are people to describe it. Maybe for you it's the smile on your child's face in the early morning hours when you walk in the room to lift them from their crib. Maybe it's walking along the beach as the waves crash on the shore and seagulls make a choir in the distance. Maybe it's pulling into a gas station where the price is below $3/gallon. But here's a question: have you stopped long enough to figure out what brings you joy, define what that joy feels like to you and realize that, like everything in life, it can be a choice? I made a decision a long time ago that I was going to choose joy. I even painted a big rectangle on my wall and printed it in big letters so I wouldn't forget to make that choice every day. The major word in that rectangle isn't joy... it's CHOOSE. It's looking around me when life is difficult and trading every complaint I have for something beautiful in my life that far outweighs it. I know, you may be thinking I am looking at life through rose colored glasses, but living joyful beats being cynical any day of the week. 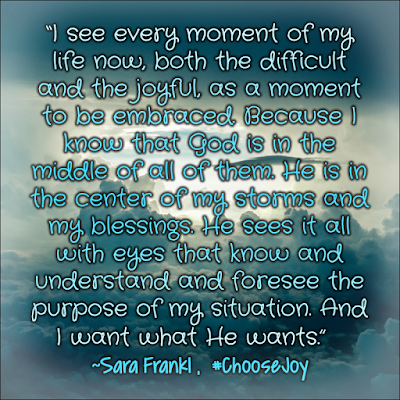 Read more about how to choose joy in Sara's book...Choose Joy: Finding Hope and Purpose When Life Hurts.